Woke up nice and dry so that is good news as the worse thing that can happen to one of these vans is they leak. Susan went for a walk along the cliffs and I just slept until she came back then we had breakfast. 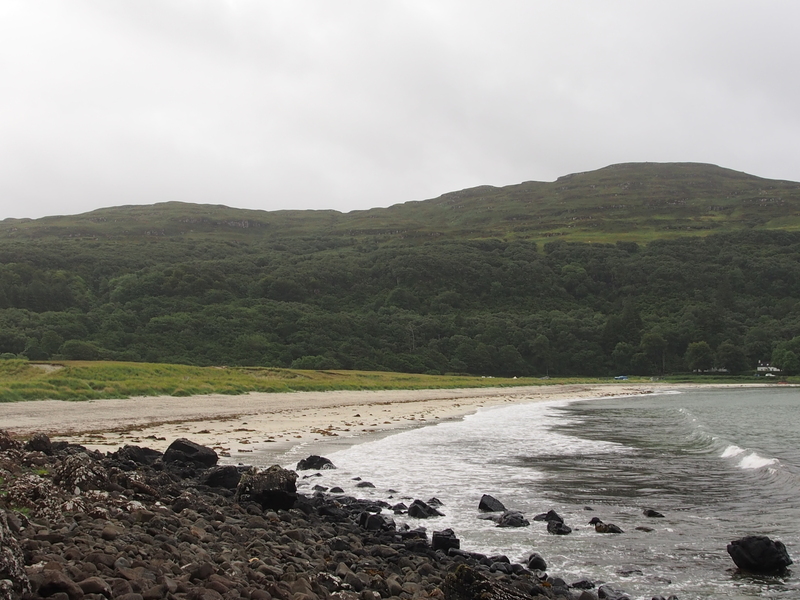 I had set up the fishing rod the night before so armed with it we walked out along the cliffs until we reach a long-abandoned jetty. The wind was howling and fishing proved a little difficult with my heavy spinner being tossed through the air in any direction to the one I wanted it to go. I gave up after about an hour my arm was killing me from the exertion so walked back to meet Susan who was using her new metal detector to find some buried treasure to offset the cost of out trip. It kept beeping and we kept digging: findings, 1 spoon, 1 tent peg, 1 disposable BBQ, 1 £1 coin and 3 X 5p pieces so £1.15 in the kitty! The rain came again so we played cards and after I finally worked out how the TV worked we watched a few episodes of the Sopranos. 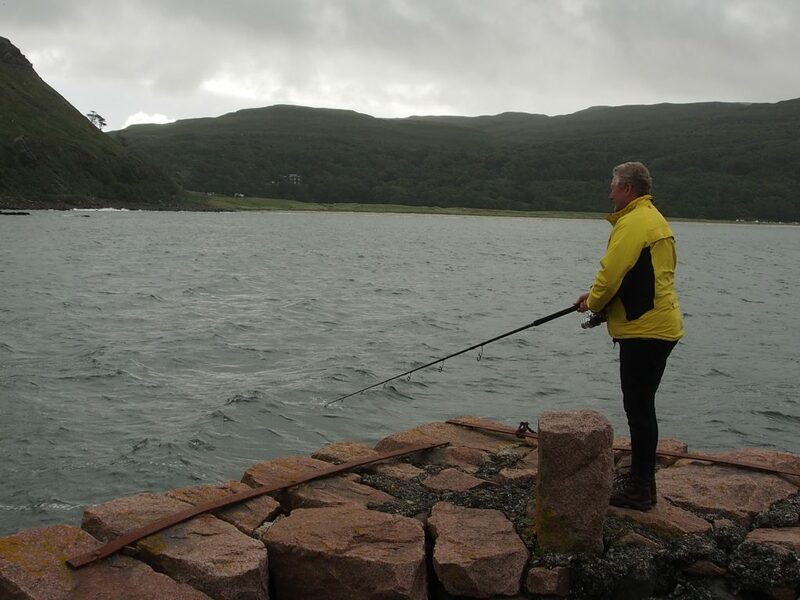 Another attempt at fishing was another disaster, the sea at the Jetty where I had struggled earlier was at low tide about 12 inches deep.. Oh well no fish supper for us. 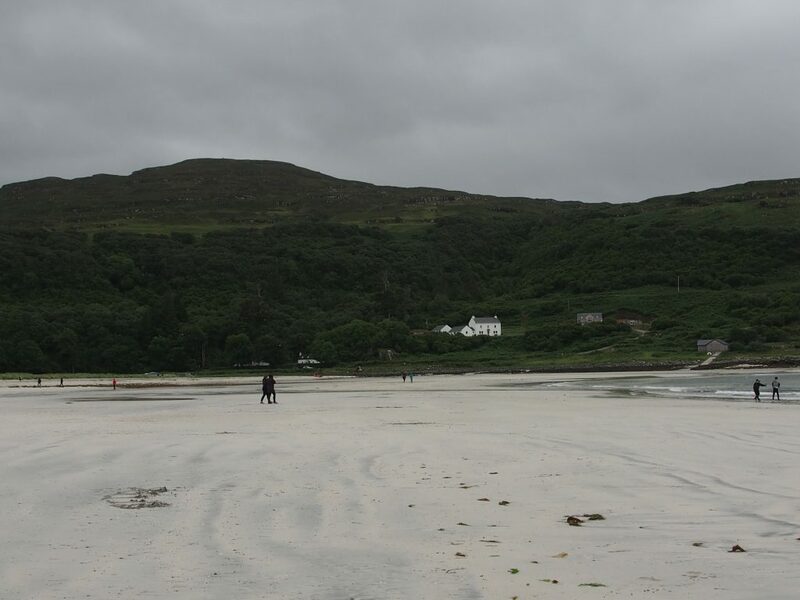 The weather had finally worn us down so we decide to get off Mull and back to the mainland and see what that brought us. The drive was a leap into the unknown as we did not fancy the return journey so would continue on round the costal road then cut across to Salem.. I was very worried!